After a lovely week away from the cold, I have returned from sunny Arizona and was certainly taken aback by the beautiful and wondrous landscape. 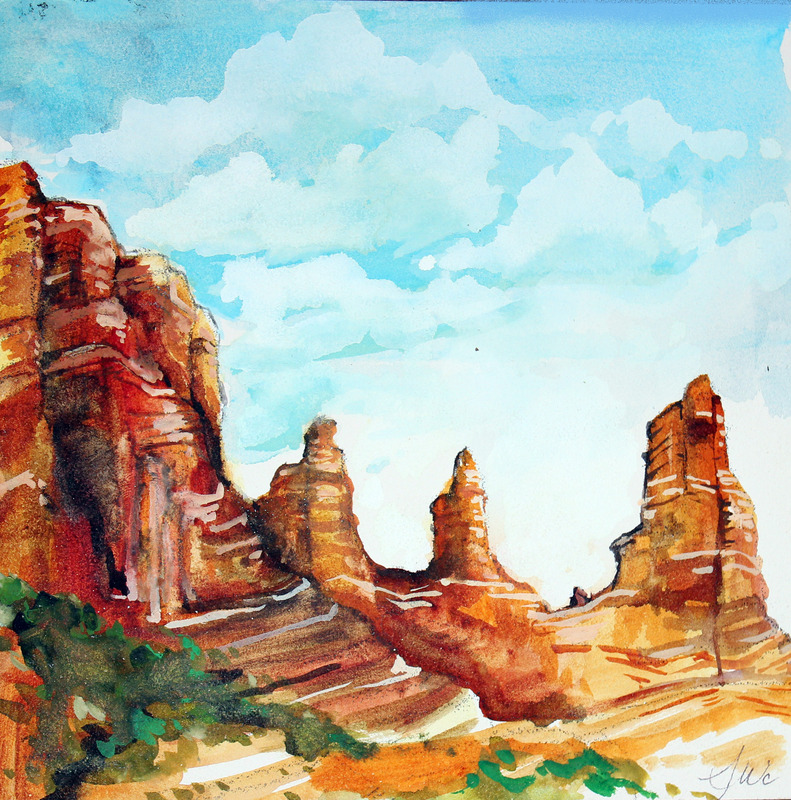 I am looking forward to creating some new works based on the desert and the surrounding red rock. This month marks the start of my exhibition year with “Not your parents Watercolour” at the Daffodil Gallery. This exhibit will feature 8 of my handpainted silk scarves and tapestries.